For the integration of Brainstem, Heart and Matrix. The BSH Infoceutical has been developed to resolve emotional shock conflicts in the Brain Stem holographic field. The Brain Stem Hologram relates to the oldest part of the brain, and is linked energetically to endodermal tissues with which the brain stem developed. The Brain Stem Hologram relates to shock and conflict around themes of survival, existence, and family. The Brain Stem Hologram Infoceutical and other infoceuticals are most effective when used in conjunction with the NES Health bioenergetic wellness system and working with a qualified provider on your targeted dietary and lifestyle program. The Cold Flu Immunity (CFI) Infoceutical has been designed to restore integrity to the CFI field and its related functions including forming healing messages and providing energetic immunity. * The CFI field appears to influence the healing of tissues in the respiratory tract especially the nose, throat, lungs, and bronchi. It also links to the large bowel, pleura, larynx, bronchi and sensory cortex. * The energetic immunity component of the CFI field appears to provide resistance to the viral families Paramyxoviridae, Reoviridae and Clostridium. (Includes – measles, mumps, gastroenteritis, bronchitis). 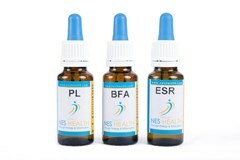 The Cold Flu Immunity (CFI) Infoceutical and other infoceuticals are most effective when used in conjunction with the NES Health bioenergetic wellness system and working with a qualified provider on your targeted dietary and lifestyle program. EMF is designed to help with fatigue associated with the effects of Electro Magnetic Frequencies (E Smog). Works with low frequencies such as main power cables, medium frequencies such as computers, mobile phones, radio transmitters and higher frequencies such as X rays. ED6 – Heart Driver (Primary driver for the heart and emotions). The heart and its driver field are associated with the heart’s physical muscular pumping action and the creation of complex double sound waves. There is also a strong emotional content to the heart field. Activity within the heart tissue generates the heart driver field. The ED6 Infoceutical has been designed to re-establish integrity to the heart driver field. The heart driver field is associated with decision-making processes, identity, clarity, self-confidence and mental integration. When damaged, self-esteem can drop to low levels. Damage to the heart driver field may affect the sounds of the heart, the pulse and the ability to transfer information around the body. The most likely causes of errors in the heart energy field are shock, stress and pollutants. The heart driver field assists with the maturation process of the immune system’s platelets, lymphocytes and monocytes. The driver field of the heart is linked with the mid brain and visual and auditory acuity. ED6 may be beneficial for hearing acuity and major learning difficulties resulting from autism (particularly linguistic ones). The name means ‘liberation from being trapped in the past’. It matches with all emotions associated with the Brainstem, Cerebellum, Cerebral Medulla and Cerebral Cortex and removes energy blocks in these areas. It helps ensure that emotions flow in the correct direction within the body-field. Liberator has the extremely important function of restoration of information flow between Central Nervous System, the subconscious Matrix and the Heart, where the fields have become misaligned or non-coherent. Liberator has been designed to assist where the HBF is imploding due to the inability to take Source Energy inwards generally or at specific locations which may manifest as disease patterns. It also matches with microtubules in the nervous system. 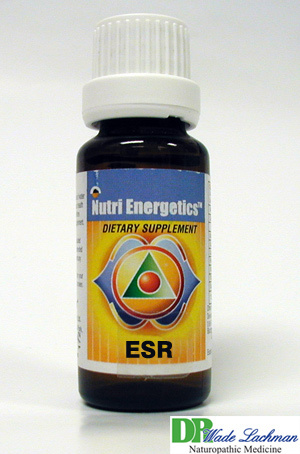 This Infoceutical is considered to be very powerful and should only be used at minimal dose at first. Maximum 6 drops for the first two weeks. Extreme care should be taken when used with psychological conditions. When we speak of love, we don’t mean the Hollywood interpretation of love as seen in the movies! When love is in balance you are in a state of true and unconditional love, and you do what is right for everyone involved, this includes yourself! Love in this context is referring to a unity connection with everything. It is not just the realization that we are all one, it is also the feeling that we are too. When love is in balance a state of true and unconditional love is experienced. This Infoceutical is designed to help bring balance to the state of oneness of love which relates to the crown chakra. One of the imbalances can be loving too much. You might find others taking advantage of you and that you end up giving more than you receive. The other side of this is being unable to receive love from others. You may feel cut off from source, disconnected, or lacking in any strong positive emotional feelings. It is the opposite of unity. A further imbalance of this characteristic is not being able to give love. Many people withhold love because of fear. While there are those who believe that it is better to have loved and lost than never loved at all, people who withhold love express the opposite.